Scorm is finally going to catch up with the current times. 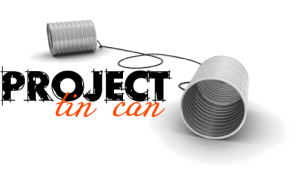 This evening I attended a webinar by ADL: the new standard (project TinCan) kickoff. The ADL will launch it in June. TinCan focuses on capturing activities: I (Actor/Agent) Did (Verb) This (Activity) and the ‘I’, the ‘Did’ and the ‘Activity’ can be almost anything. The ‘I’ can be something like a person, a group, a community. The ‘Did’ for example can be a learning experience, an assessment or a social media activity. The ‘This’ can be any activity that has a learning experience. Instead of a LMS will will get a LRS; a Learning Record Store. Here you can record all your learning activities. These activities are no longer limited to you. The ‘I’ can also be a group or a community. This will have a big impact on (e-)Learning. The next step is the adoption of the standard by authoring tools and LMS. This will take some time, so there will not be an effect on the learning activities in the short term. But this effect will be visible in 2013. The most important thing is that it is finally here. This standard will enable next generation e-learning for a lot of people. For more details see the presentation, it contains links to even more detailed information. I’m not a standard specialist. Up til now standards represented boundaries for me, boundaries we could not cross. This standard will challenge us, giving us the ability to really create next generation learning experiences in real and virtual live, by individuals or groups, across applications and devices. Maybe a small step for mankind, but a giant leap for e-Learning! Previous Blackboard buys Moodle partners: open source? Next What did 100 blog posts bring me?